Ideally, you want to find the camp that will be your child’s summer home for years to come. The place where s/he will unplug, have fun, connect with nature, make new friends, set and achieve goals, enjoy top notch instruction and activities, experience outdoor adventures, learn life skills, gain confidence and independence, experience strong traditions and values, participate in social action programs, and more. To begin, it’s best to narrow down your choices for camp tours to just a few – between 2-4 camps often works well (too many can be overwhelming). Base your decisions on criteria such as: session length (1-8 weeks); gender (coed, all boys or all girls, brother/sister); type of programming and activities; location; desired rusticity; and cost. To help you with this, consider using resources including: the Maine Camp Guide who provides personal assistance and recommendations by email, phone and live chat, Select-A-Camp, and self-posted testimonials. Then, speak with directors and ask questions that will help you determine if you think the camp could be a good match for your child and your family. Information to learn includes: the director’s background and philosophy, counselor and camper retention rates, how are staff recruited and trained, what the daily schedule is like, what activities and sports are offered (consider sports and activities your child already knows and likes, as well as those that could be new and of interest); trip experiences, the type of child that best succeeds at their camp, and more. Here’s a list of 20 Question’s to Ask A Summer Camp Director to think about. Camps have different policies and philosophies about tours. 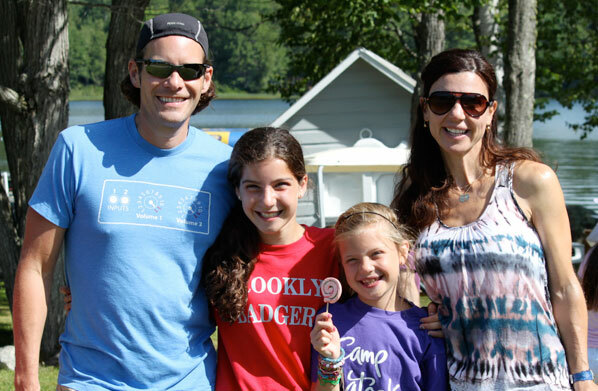 Maine camps provide individual family tours, which is important. You can focus on your own thoughts, experiences and questions without being distracted by other families. The tours will provide you and your kids with the opportunity to see important facilities (cabins, dining hall, medical center, arts and indoor buildings), the waterfront, and land sports. It’ll be the ideal time you can see and learn from the director about where your child will live, learn and grow, and hear about favorite camp traditions. It’s also a great opportunity to observe and talk to campers – your child’s age and older (which is what your child will be in a few years). The camp tours can be integral to determining which camp will be the best fit. Tours also provide your kids with comfort and familiarity for the following summer when they attend as a camper. Click here for more touring insights.